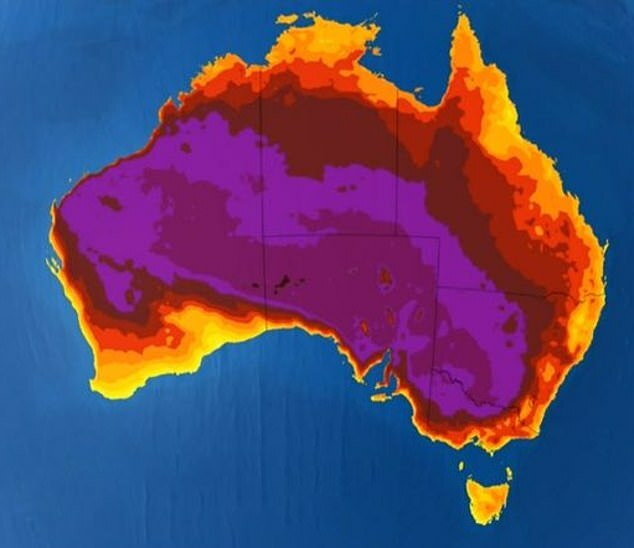 Australians will remain hot and bothered for the rest of the week as heatwave conditions push temperatures into the mid 40s in some regions around the country. 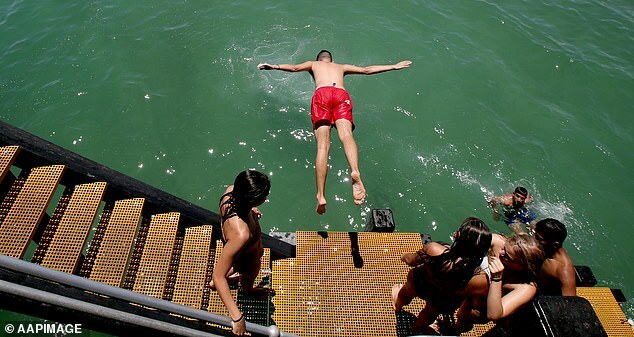 South Australia has had a scorching start to the week with severe heatwave conditions across most of the state and the government declaring a ‘code red’. The Code Red triggers extra funding so services for the homeless can be extended while a special phone line will also operate for the next two days, providing regular checks on the elderly and others at risk from the extreme conditions. The heatwave is expected to plague most of eastern NSW this week, while the rest of the state will experience severe conditions. In Sydney, temperatures are expected to peak on Thursday and Friday with much of the Sydney basin experiencing temperatures 10C above average for this time of the year. 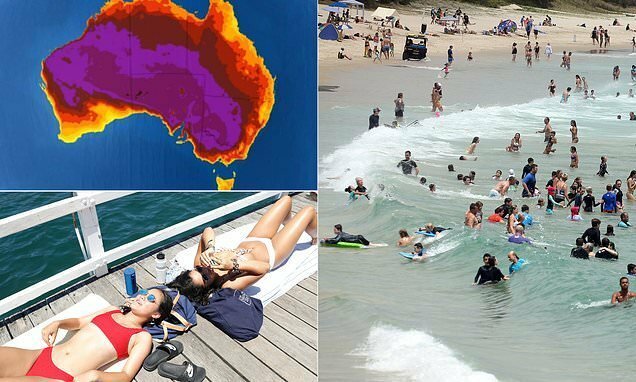 Western Sydney suburbs will swelter with temperatures up to 43C in Richmond and 45C in Penrith on Friday. 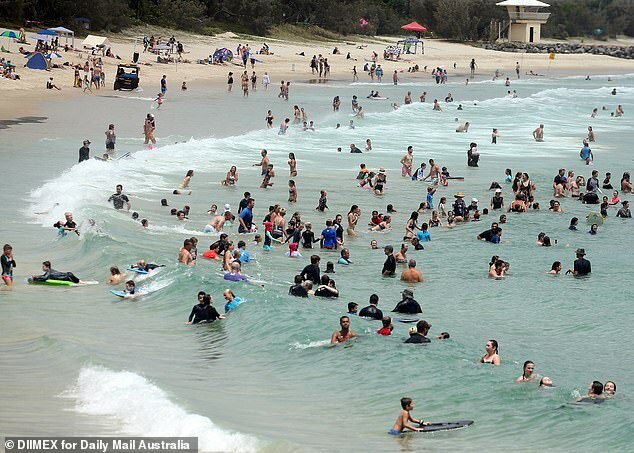 Records have already started breaking with Borrona Downs in the state’s northwest recording the highest minimum temperature ever in NSW with 34.6C on Monday. A total fire ban has been put in place across Victoria. The Bureau of Meteorology is forecasting three straight days of hot to very hot temperatures in most areas of Victoria with the forecast expected to hit the mid-40s in the north of the state. ‘Certainly there are extreme conditions for those up in the north of the state,’ senior forecaster Michael Efron said. Mr Efron said it was not a ‘classic’ fire day with northerly winds but instead the southwest winds would pick up in the late afternoon increasing the fire risk. Planning and preparing ahead of the hot weather was important for everyone, Emergency Management Commissioner Andrew Crisp said. ‘We’re still in the summer holiday period before school returns, with a large number of people camping and visiting national parks. It is important everyone stays vigilant and don’t light camp fires,’ he said. 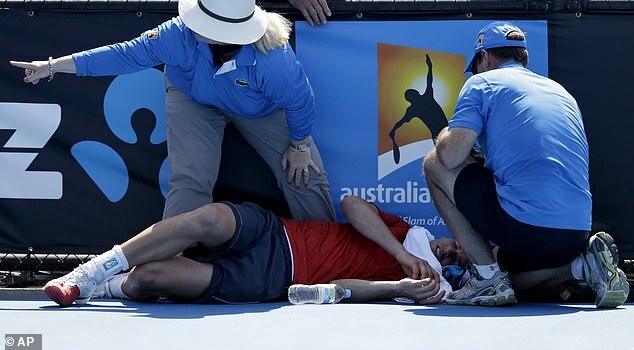 Tennis players will have cooler conditions than the cyclists but only just – Melbourne is forecast to experience temperatures in the low to mid-30s all week.